Gaslighting is a form of psychological abuse. It is defined as a way to manipulate someone to make them question their own sanity. As you can imagine it is a particularly dangerous form of domestic abuse. This article explains a little about its history and what it can look like in relationships. It also gives some ways to stand up it. Still, from the beginning, I want to stress that If you are being psychologically abused with gaslighting I believe ultimately you will need to leave. If you are in a situation where you can’t leave yet or there are children involved and you must have some interaction, these tips might help you keep your sanity when he is trying to distort is. Gaslight is the name of a play that was made into a movie in the 1940s. 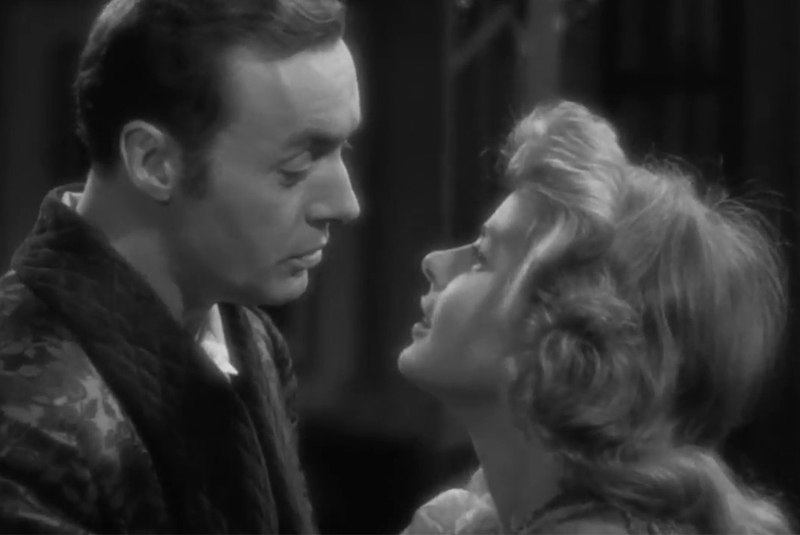 In its most famous version, Ingrid Bergman played the heroine. I will try not to give the whole story away because I think everyone should see the movie, but I will touch on parts of it to illustrate how gaslighting works. The basic plot of the story is that a young woman’s husband is systematically making her feel like she is going insane as part of a plot to steal her gems. The title comes from how the gas lamps would dim when he is pretending to be out of the house but secretly in the attic. When she tells him about the lights, he says she is seeing things and tries to get others to believe she is mentally ill. Other times he takes things from her and then tells her she loses things. Over time, she begins to think she is going crazy. He tells others around her that she is sick, ensuring that she has no outside reality check. During the course of the movie, we watch her deteriorate, starting to be easily frightened, avoiding going out, and eventually becoming what he tells her she is. The woman doesn’t recognize what is happening until a detective from the Scotland Yard, who had been following the husband, tells her what he was doing. Most of us will not be helped by Scotland Yard so we will have to learn to be our own detectives. The first step in protecting yourself from gaslighting is to recognize what it can look like. It is not easy. It is designed to be unnoticed. Fortunately, we all have an inner voice that tells us when something is not right. In the movie, she hears the inner voice the first time he tells her she loses things, but she quickly overrides this voice. She trusts him. She thinks he loves her and she is willing to believe she makes mistakes. So, she accepts the lie. That is the key to gaslighting. Here are some examples of what gaslighting might look like off screen. You get stuck in traffic and are late to meet him. You are confused. You aren’t always late. You make it a point to be on time. But you start to wonder if you are late more often than you realized and maybe you do have no sense of time. You weren’t flirting with his friends but now you wonder. ‘Was I wrong to say hello with a hug?’ Maybe I do touch people too much. Again, you question yourself. You excitedly tell him about your new job. Again, you are confused. You like public speaking and actually will miss it. Now you wonder why he said that. Are you more nervous about the presentations than you realized? As you can see gaslighting can look very benign, even kind and supportive. This is part of how you can be tricked into believing it. Bit by bit, you start to question who you are. If it goes on long enough you can begin, like the woman in Gaslight, to believe his version of who you are. This is the essence of crazy making. Being conditioned to believe something that isn’t true. It is important to note he doesn’t believe this picture of you either. One of the most disturbing realizations about gaslighting is that his lies about you are made on purpose. Ultimately, I think this is a situation where you have to leave but until that is possible, you can take some steps to protect your sanity. Get an outside perspective. In the movie, he isolated her from people to prevent others from dispelling his illusion about her. The lie loses its power when you no longer believe it. This is why if you suspect this is happening to you, it is imperative to get outside help- a counselor, a friend, a family member who can remind you of who you are. If you are self-employed or work at home, consider getting a job with coworkers. This can be a valuable reality check. Speak your truth. Every time he tells you what you are doing, being, thinking, ask yourself if you agree. If your first thought is no then say ‘No, that is not true, I usually am on time, I was not flirting, I like public speaking’ etc. There is no need to argue. You are not trying to convince him. Remember, he knows that what he is saying about you is not true. You are reminding yourself of who you are and at the same time drawing a very important boundary. I am the one who defines who I am. Listen to your inner voice. When I first suspected I was being abused I called a hotline and immediately apologized about calling them because my husband was not hitting me. I said I just feel like I am being abused. She said, “If you feel like you are being abused you are being abused.” From these words, I began my journey to recovery. There was nothing I could see or prove to myself or others. I only knew that it felt wrong. And that is all I needed to know. In the movie, the woman finally does stand up to him when she realizes what he was doing and still he tries to manipulate her to the end. Abusers are getting something out of the abuse so they rarely just stop it. Standing up for yourself and your reality is something you do to maintain your sanity as you begin the processes of leaving. You might spin your wheels as you try to figure out why he does this. In the movie, he was after jewels, but for most of us, there is no logical reason. To control us? To have power? To protect his own reality? I am not sure we will ever know but it doesn’t matter. The goal here is not to change him. It is to protect yourself. And the stakes are high. He might not be stealing jewels but gaslighting can steal your very sense of who you are. The post Gaslighting: How To Recognize It And Protect Yourself appeared first on Divorced Moms.